There are so many options when it comes to zero waste food and grocery shopping. A bulk bin section at your local grocery store is major plus for buying packaging-free food, but we realize not everyone has this option. Eating more produce and shopping for items that come in compostable packaging such a paper or cardboard, or non-plastic recyclable packaging such as glass or metal are great ways to reduce the amount of trash your kitchen produces regardless of whether or not you have access to bulk foods. 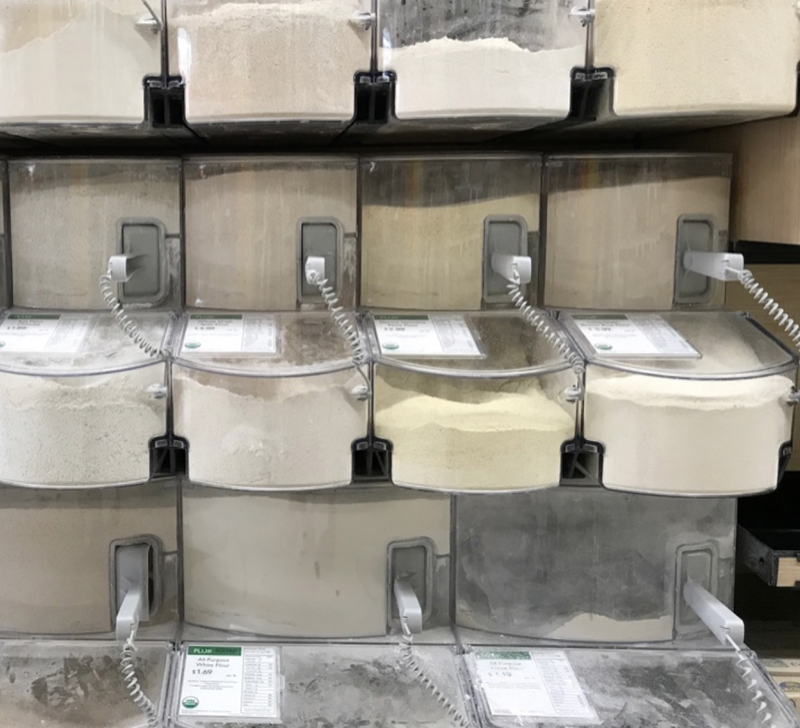 Below, you can find a list of stores with bulk sections in the Chicago area.Before you go, note that every store's offerings are different, so you might want to scope out a couple of stores in your area before you're able to find everything you need. It's a safe bet, though, that most stores with a bulk section will sell grains, dried beans and lentils, nuts, seeds, and a few snacks and baking supplies. We've listed out the stores with the largest bulk offerings below, but note that many other stores also offer smaller bulk sections - some carry just coffee, some offer just kombucha refills, etc. - so be sure to check the map below, too! And below the map, you'll find a list of where to find some harder-to-find items, like growler refills, pasta, olive oil, and more. Another thing to be aware of is that not all stores allow you to bring your own containers when shopping at their bulk section - if this is the case where you shop, look for small paper bags or compostable bags in the bulk section before turning to recyclable plastic containers. To find a store nearest you, zoom in on your neighborhood in the map below. Then, you can click on each dot to find out which store it is and what they sell in bulk there! If you're looking for something more unusual or specific - say, a beer growler refill or protein powder, there's a guide to sources for unusual bulk foods below the map. Happy grocery shopping! Kombucha, soba noodles, and everything in between. If you've got a favorite food that you can't find in the bulk section at the stores nearest you, this section is for you! And please let us know what you'd add to the list.